What better way to start the day than with a cup of warm joe and appetizing breakfast? 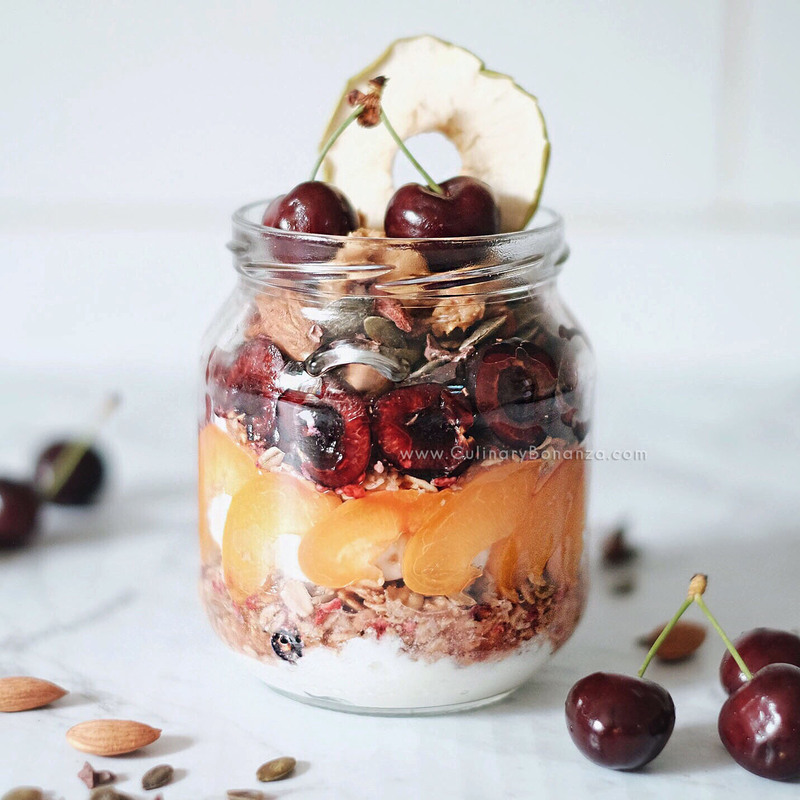 There's no secret that I'm obsessed with pretty and delicious breakfast jars / bowls / smoothies. So much so that I've dedicated a special hashtag #BreakfastBonanza that I use to share my creations (and of course, you're invited to share yours too!). The very first time I walked into Naked Foods' organic bulk food store in Newtown a few years ago, I felt literally like Alice in Wonderland. I could find all sorts of unique (some even exotic!) ingredients & toppings for my #BreakfastBonanza, plus a lot of other organic products that I couldn't find easily back home. Also, I love the fact that they use brown paper packaging and even encourage the customers to bring their own containers for shopping, to reduce waste from packaging. I thought to myself then, wouldn't it be awesome if I could actually meet the team behind the concept? You know how your thoughts and words are like prayers? They may not manifest immediately into reality, but as long as you think positively, they will eventually find its way to turn into reality. So the breakfast event with Sydney influencers, courtesy of Naked Foods took place at this beautifully revamped Tramsheds. Such is the names, because it was literally a tram shed before the renovation. I love how Australians have a knack for urban gentrification, such as the clever use of an old tram shed like this, which would otherwise have been dilapidated & wasting such precious & scarce space in Sydney. The beautiful rustic table setting & styling by @limetreebower was such an eyecandy, paired with assorted pastel ceramics against the pale wood tables. I couldn't help not to admire and take photos of it from various angles. Nutritious healthy breakfast by @brownpapernutrition. I'll let my photos and captions do the talking...but my favourite one has to be the baked ricotta with caramelised onion & grilled cherry tomato. This post was made possible, courtesy of invitation from Naked Foods. Thank you!